In need of inspiration? You're in the right place. 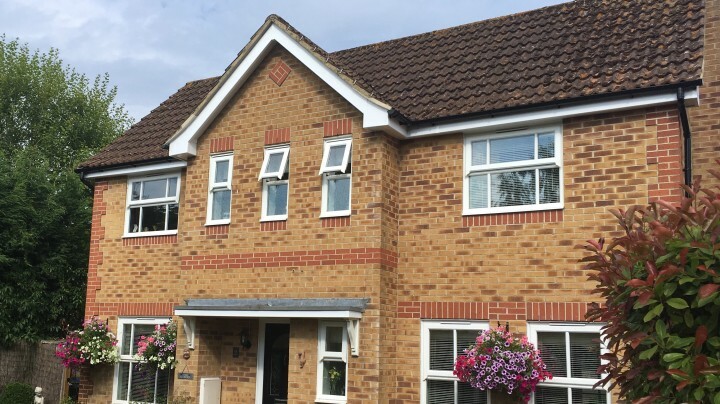 Browse our gallery of images and projects to see how others have transformed their home or garden using Freefoam roofline products. 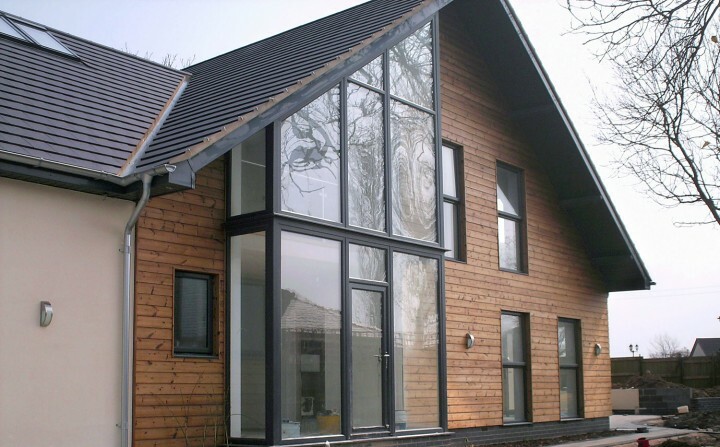 We would love to see photos of your cladding project. Simply click Submit a photo, fill in the form and send us your picture. Feel free to pin our images to your Pinterest boards! 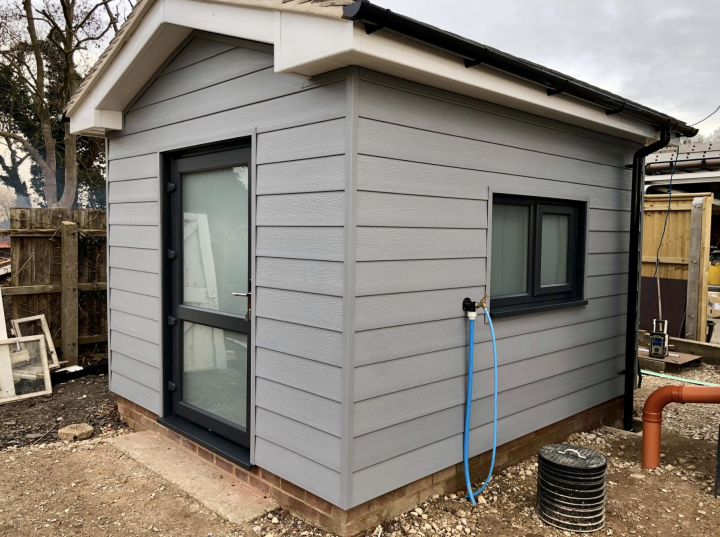 A fantastic job on this garden room by a Freefoam Registered Installer, NG Fascia Soffit and Guttering using Freefoam, White Fascia, Soffit, Black Round Rainwater and Storm Grey Weatherboard Cladding. 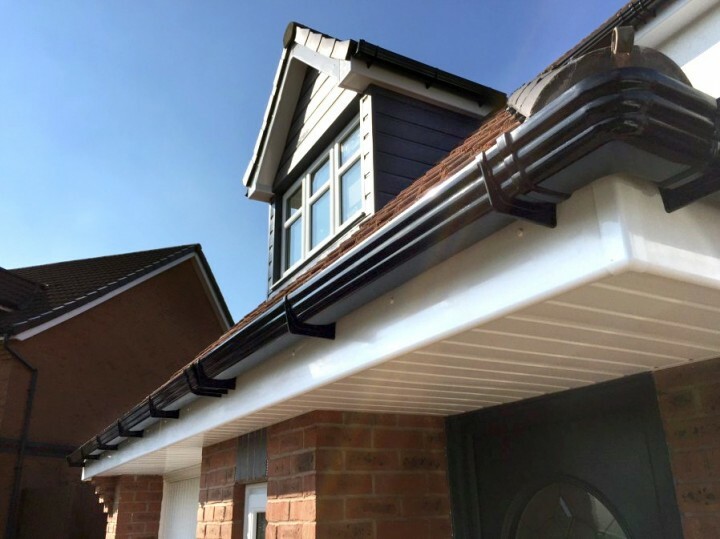 A stuning transforamtion using a Freefoam Black Roofline, Fascia, Soffit and Rainwate, fitted by one of our registed installer Safe Seal Roofline. Full replacment of Fascia, Soffit, Guttering and Cladding carried out by Gutter Doctor in Colchester. What a transformation! 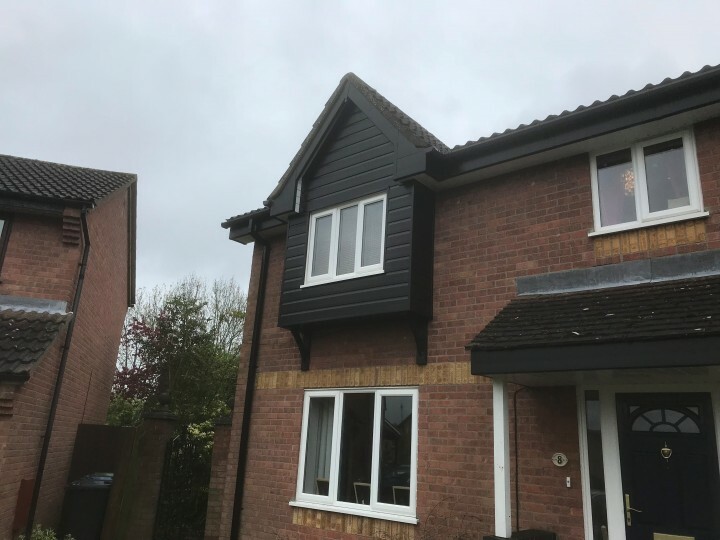 Thank you to Simply Roofline in Peterborough for sharing a picture of a job they have completed using Freefoam Fascia (Black), Soffit (White), Guttering (Black) and Cladding (Black). Great, refurbishment using Freefoam Fascai, Soffit and Rainwater, thank you for sharing @ JR Roofing. 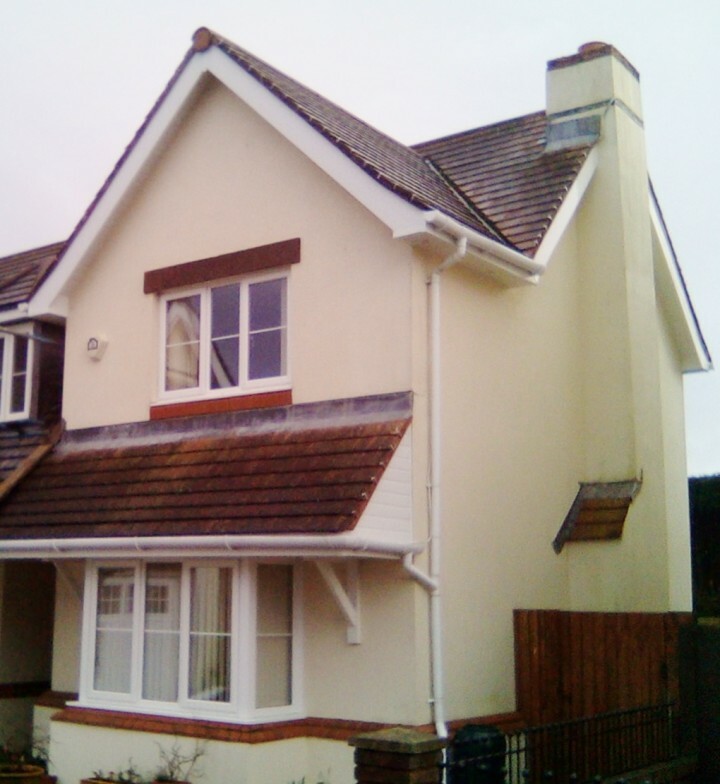 Freefoam Fascia, Soffit and Rainwater have been used on this home to add to it's existing characters. Another sensetional work form Evoke Home Improvements based in Oldham, many thaks for sharing photos. 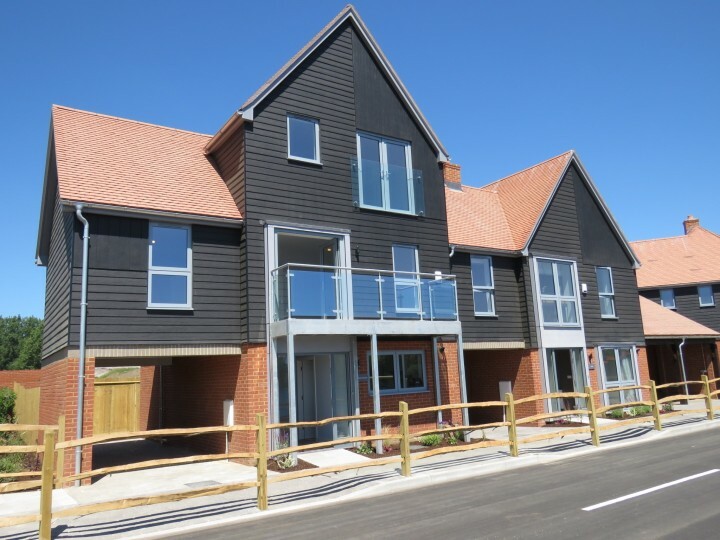 Freefoam fitted to new Kirby Homes development in Hartley Wintney, Hampshire. Installed by Freefoam Registered Installer Bretts Polar White Plastics. What a difference this Colonial Blue Double Shiplap and Rosewood window trims have made to this home! 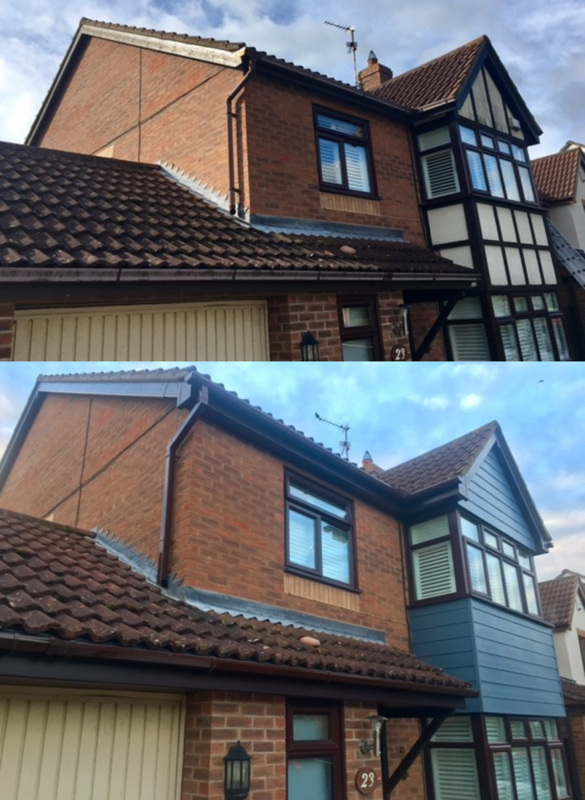 Thanks to Simply Roofline for the great before and after photos. A great example of our fully integrated product range. 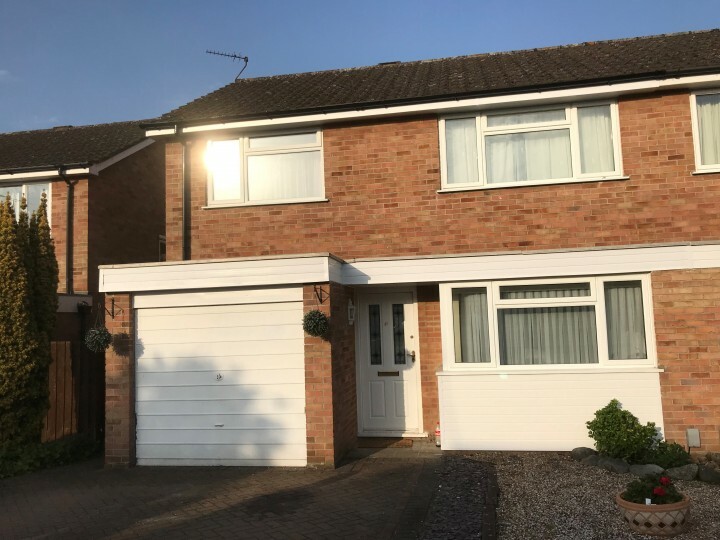 Here is our white fascia, soffit and square guttering expertly installed by Simply Roofline in Peterborough. Thank you to C J Davies & Sons Property Maintenance in Swansea for sending in this photo of a brand new white roofline. 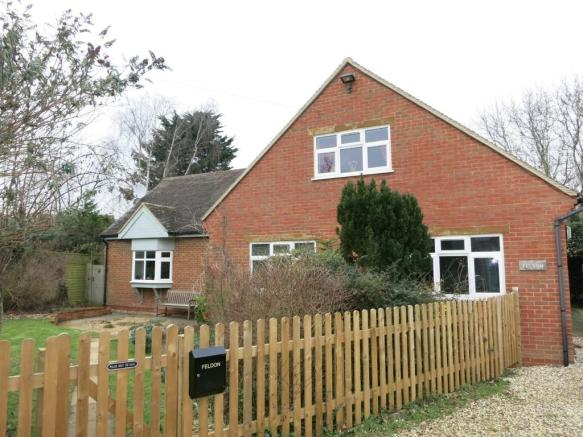 This shows how a fresh roofline can make a home look like new! The beauty is in the details. 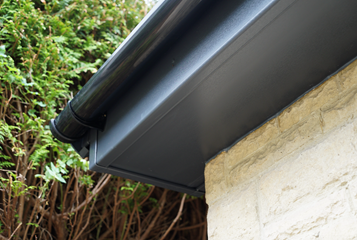 Why go for a plain roofline when we offer 16 different colour and woodgrain options for your fascia and soffit? 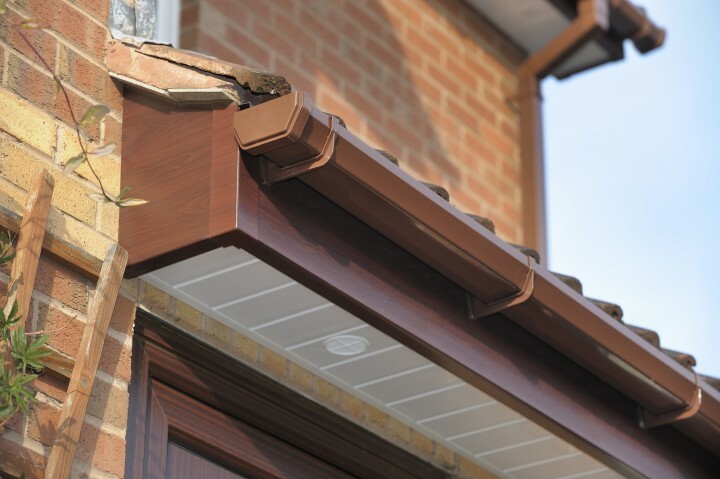 This caramel guttering, rosewood fascia, and white soffit combination looks devine! Try your own combination on our Colour Visualiser. 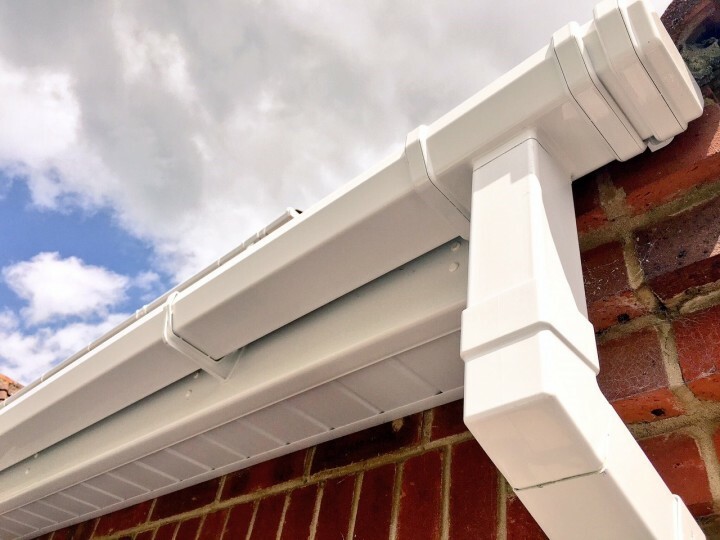 A roofline that includes our fascia, sofft and rainwater system in white can be guaranteed for 50 years when installed by a Registered Freefoam Installer! Check out the guarantee page for more info. 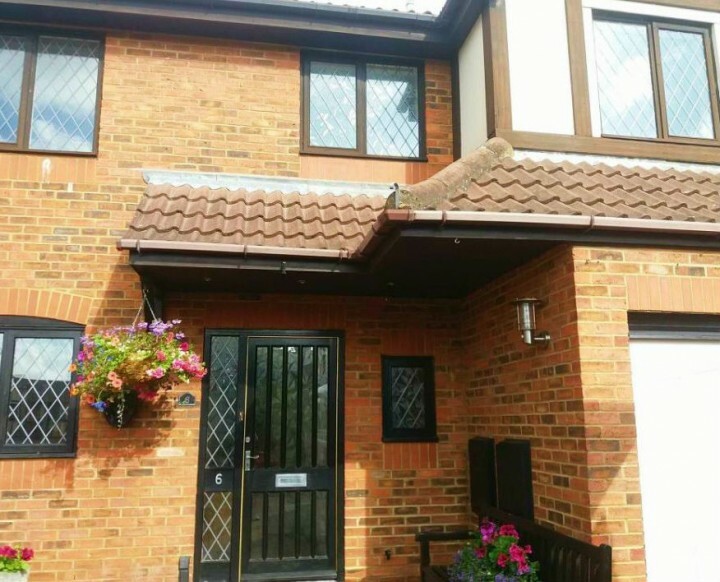 Our Rosewood woodgrain fascia compliments the brown brick of this home perfectly. 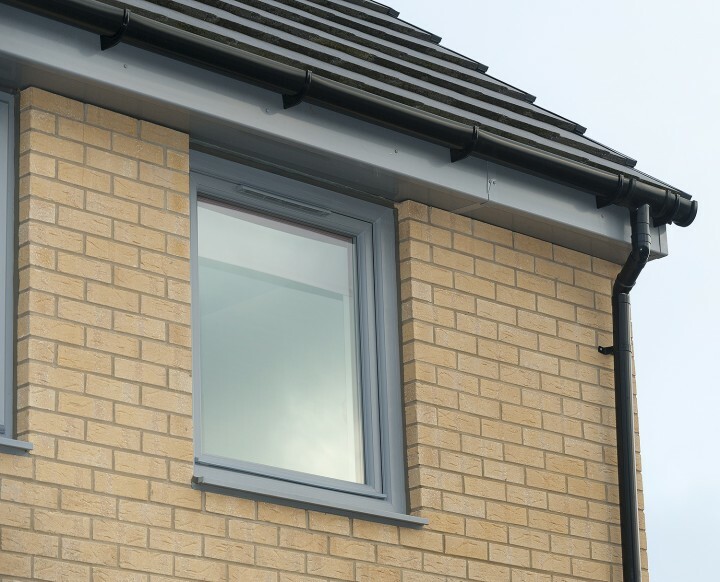 With 8 woodgrain fascia options to choose from you can coordinate/match the brick work or render on your home to our roofline products with ease. 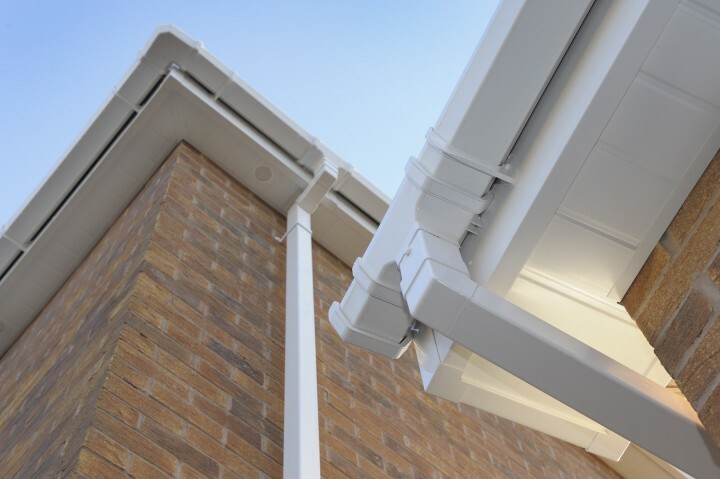 Freefoam is the colour specialist - you are no longer limited to white soffit! 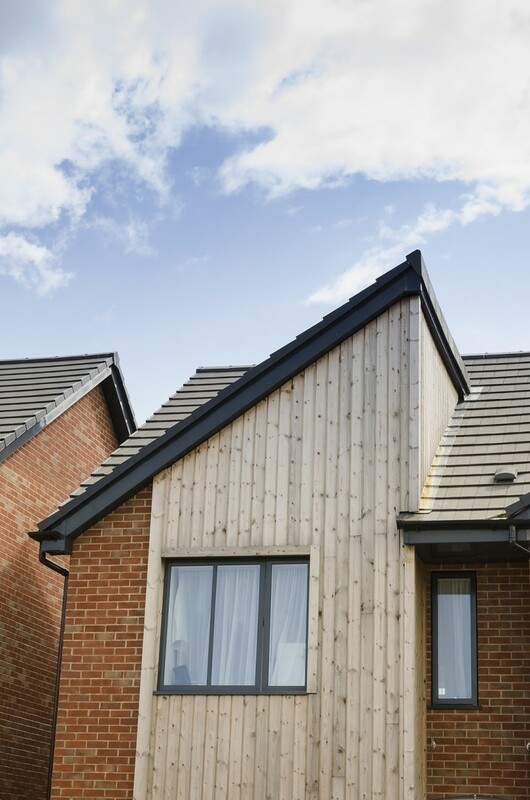 This homeowner in Huntingdon went for a striking, modern Rosewood roofline and it has paid off. 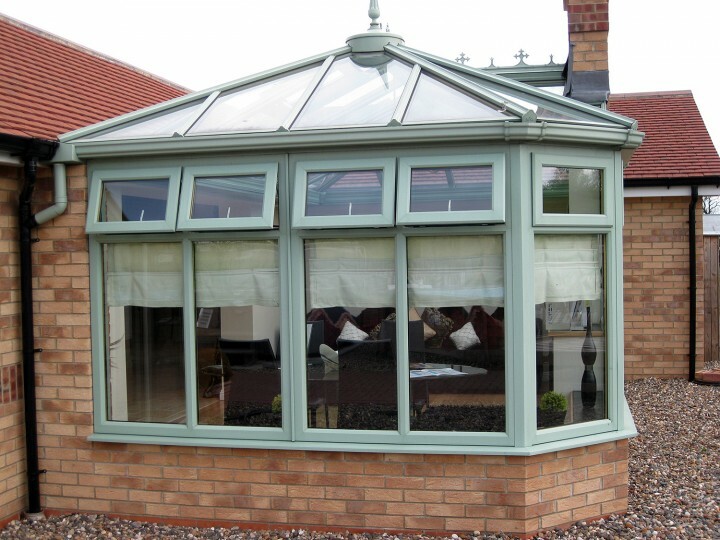 Installed by Michael Dumont at UPVC Roofline Installations. 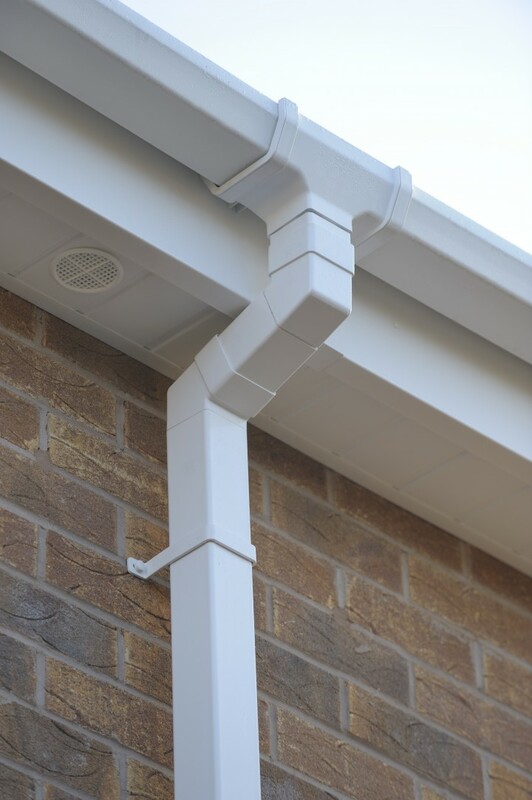 Our white roofline products not only look classic and clean, but are guaranteed for a lifetime! 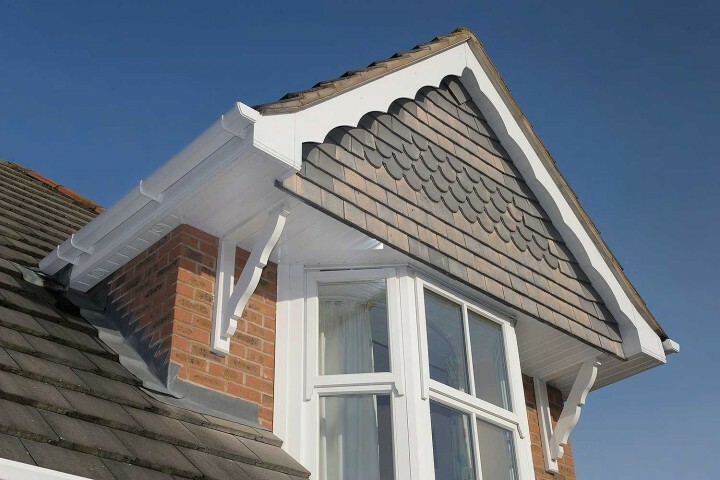 Freefoam offer a 50 year guarantee on white roofline products installed by a Registered Freefoam Installer. 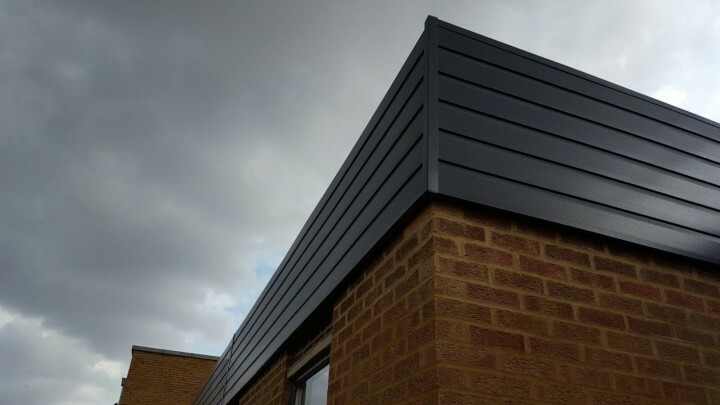 This bold Anthracite Grey installation proves that white roofline isn't the only option for a polished, streamlined roofline. 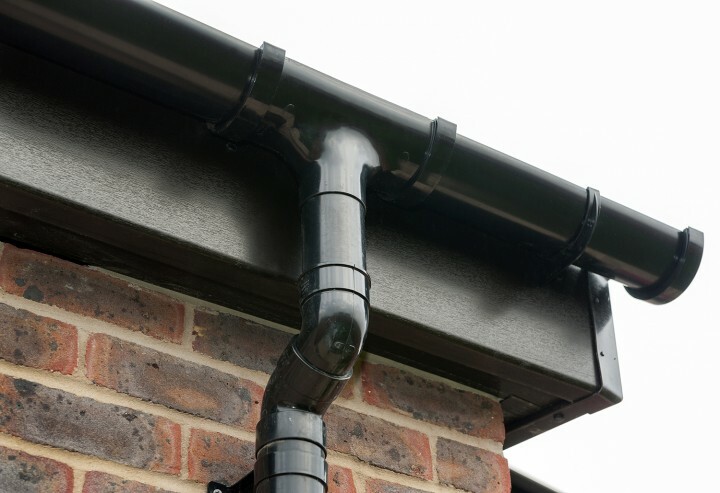 Thanks to NG Fascia Soffit Guttering in Nottingham for the fabulous photo! 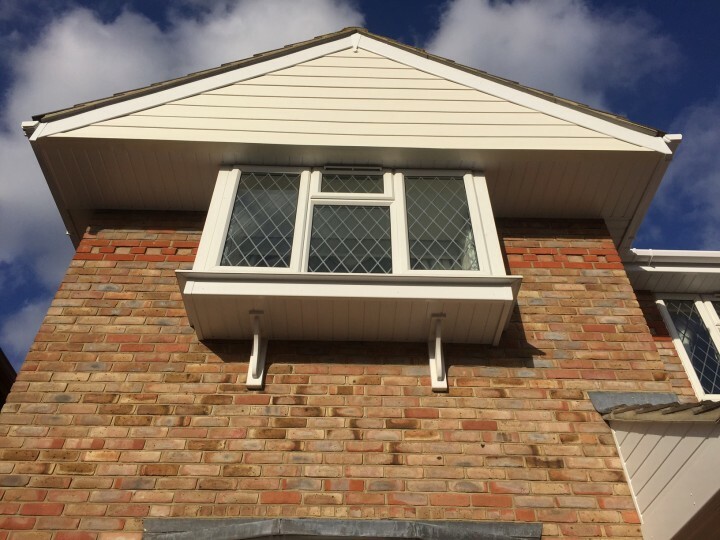 Skip classic white and go for a woodgrain roofline - installed by Simply Roofline in Peterborough. Thanks for the lovely photo of your Pale Gold cladding TGC Ltd in Benfleet! Looks great! Thank you to Michael Dumont in St Ives for this great photo! 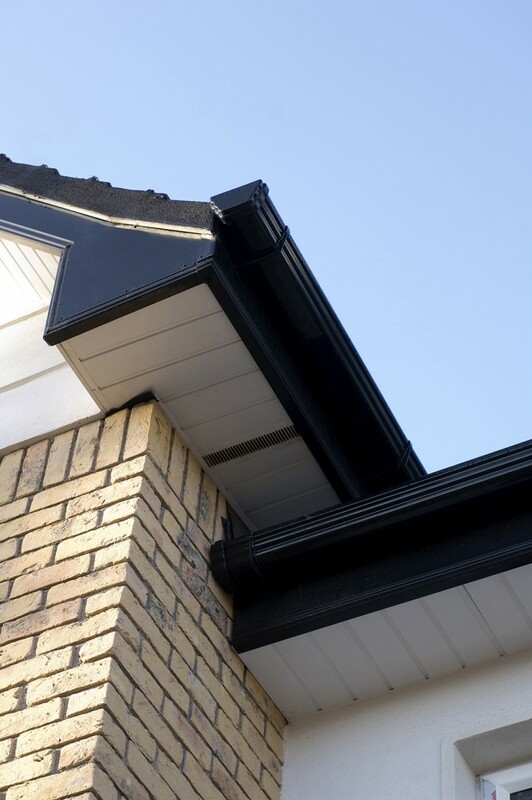 We love the contrasting black Gutter paired with white Fascia & Soffit. 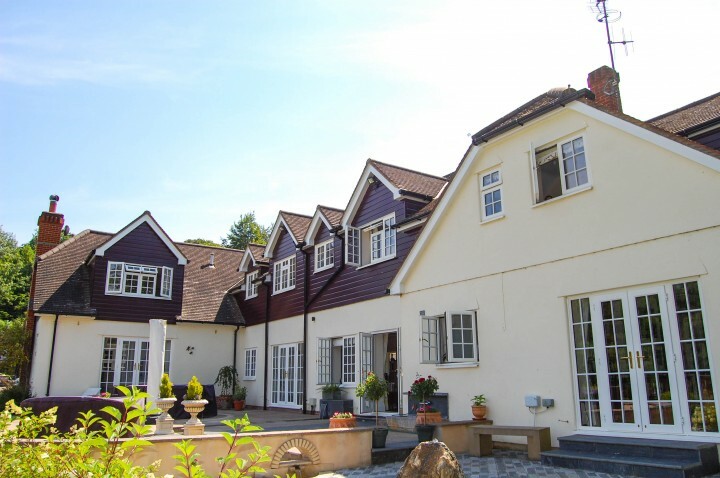 A new roofline can make a huge difference to the appearence of your home. 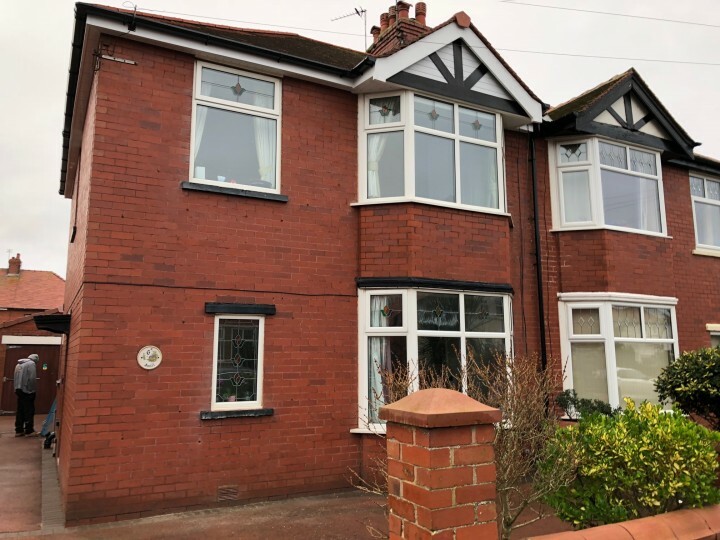 Have a look at this before & after picture to see for yourself! Thank you to Simply Roofline in Peterborough for the pictures. 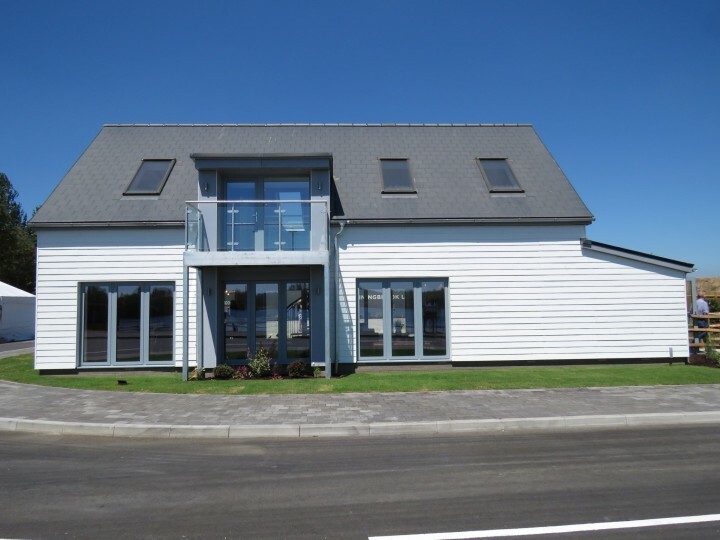 Break away from tradition and join the colour revolution - try finishing your roofline with cladding in Anthracite grey. 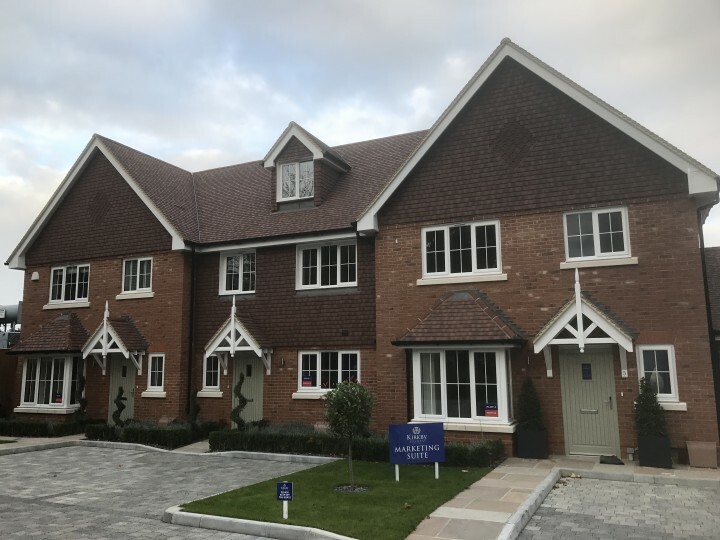 Matching fascia to bi-fold doors at Crest Nicholson development. 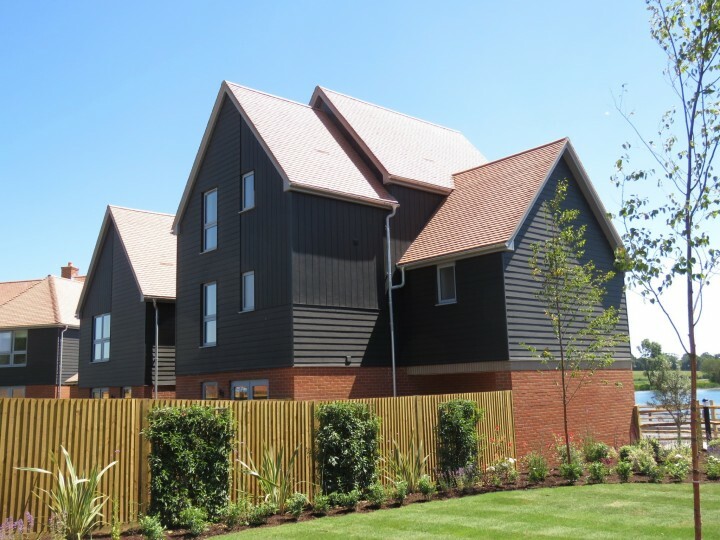 Anthracite Grey fascia completes new build developement for Severn Vale Housing. 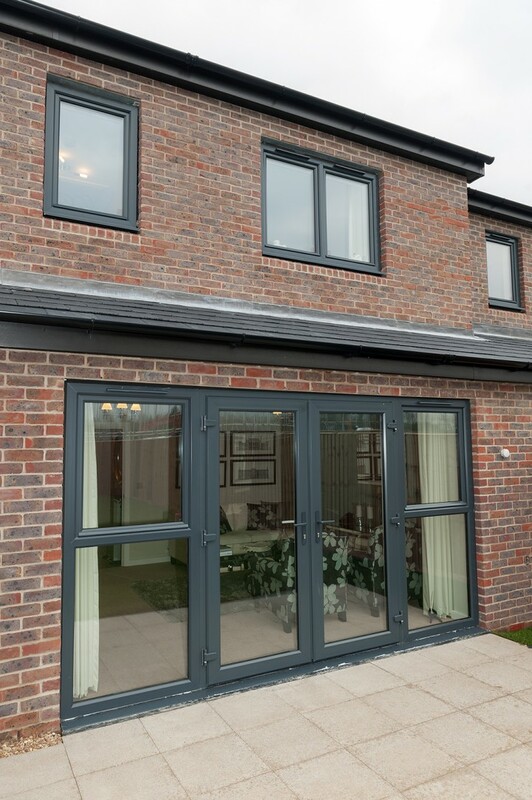 Anthracite Grey fascia matches window frames in this new home. White scalloped fascia creates a decorative effect.